Blue skies, clean conditions and high performance surfing was the order of the day today on Day 3 of the 2017 Sunset Beach Pro, as we completed the repechages for both Men & Women, as well as Round 3 of the Men, and Semi Finals for the Women. Poenaiki Raioha (F-One) put on a flawless performance this week at the US Open of Stand Up Paddling, with some of the most progressive surfing imaginable and a mindblowing success rate. This past week saw the dramatic conclusion of the European Cup, a dynamic series of events that spanned the European Continent and provided a very comprehensive challenge to the attending athletes, with diverse conditions across all 3 stops and some memorable performances from some of the World’s very best racers. 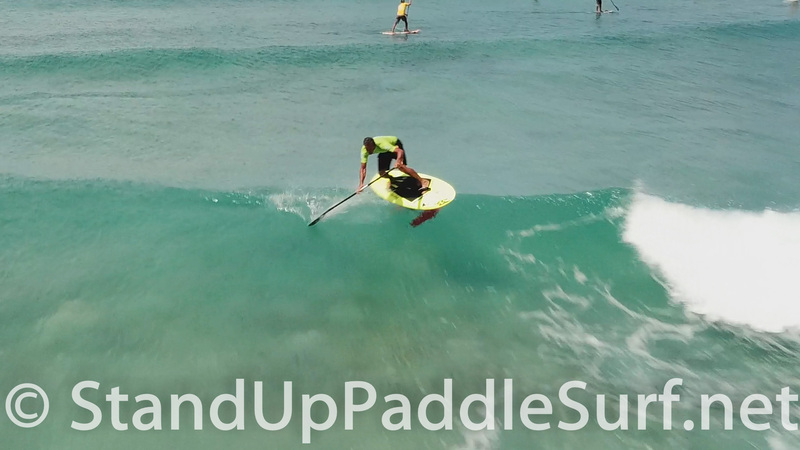 You are currently browsing the Stand Up Paddle Surfing in Hawaii - StandUpPaddleSurf.net weblog archives for the Contests category.